The agricultural industry now has a new trade show specifically for the Aftersales business. Aimed at dealer workshop managers, service technicians and parts employees, ‘Parts and Service World’ took place for the first time in Kassel, Germany on 13th and 14th October. In order to show case a selection of industry leading solutions, AGCO Parts and Service were represented at the show by a team of experienced AGCO specialists. 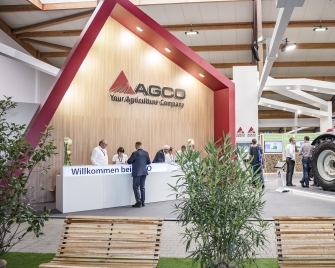 On one of the event’s primary show stands, AGCO Parts and Service presented an impressive array of service solutions available to their customers. For example, extended warranty and contract servicing packages and the certified used machine program currently available for Fendt. Using cutting edge augmented reality technology AGCO also showcased a new application called CitNOW. This tool allows the dealer service technician to send the machine owner a short video explaining any repairs carried out and any suggested repair as a result of a health check, giving ultimate transparency. Another tool available to our dealers which was presented was the MDI (Managed Dealer Inventory) parts stocking tool, which dynamically replenishes dealer parts stock, leading to optimal parts availability and improved customer satisfaction. 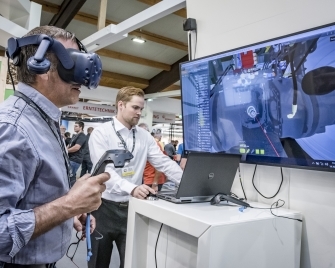 Alongside the main show stand there was a live workshop area, where AGCO presented new and innovative repair solutions aimed to maximise machine uptime. For example, the TechConnect app which supports the workshop technicians in quickly diagnosing and resolving any machine problem. AGCO received a collective gold medal for MDI, TechConnect and CitNOW from the Parts and Service World judging panel. Two silver medals were also awarded for a virtual training solution for service technicians, as well as for the use of 100% renewable fuel for the initial filling of Valtra machinery at delivery. AGCO took the opportunity to recognize dealer employees who have excelled by displaying innovative thinking, team spirit, helpfulness or made a special achievement in the agricultural sector. Dealer employees were nominated by their dealership and AGCO randomly selected 12 winners to be presented an AGCO Service Excellence Award at the show.